Sucrose, also known as common table sugar, is used in cosmetics and personal care products due to its functions as a natural exfoliant and humectant moisturizer. Sucrose is a disaccharide, a molecule composed of two monosaccharides: glucose and fructose. It is obtained by crystallization from sugar cane or sugar beet juice that has been extracted by pressing or diffusion, then clarified and evaporated. Sucrose fatty acid esters may also be used in cosmetics and personal care products. They are synthesized from sucrose and the methyl and ethyl esters of edible fatty acids usually in the presence of a solvent. Another procedure is to react edible fats or oils and sucrose to produce a mixture of sucrose esters of fatty acids and mono- and diglycerides, these are sometimes called “sucroglycerides”. Common sucrose esters include sucrose distearate, sucrose oleate, sucrose laureate, and sucrose palmitate. Sucrose is used as a natural exfoliant and humectant moisturizer in cosmetics and personal care products. Sucrose exists in the form of small, crystalline particles, which enables this ingredient to function as a gentle abrasive. Products that contain sucrose as an abrasive will help to exfoliate the top layers of skin, removing makeup, excess oil, dirt, and other impurities that may have accumulated during the day. Getting rid of dead skin cells that build up on the surface of skin is crucial in order to maintain clear skin. According to Dr. Cory Torgerson, MD, PhD, FRCSC, the accumulation of extra dead cells on the skin’s surface can clog pores, eventually turning into undesirable acne or other dermal-related conditions. Furthermore, exfoliating becomes even more important as we age since the skin’s natural cycle of shedding dead cells slows down. Scrubs that contain sucrose also have a few benefits over salt scrubs. For one, small sucrose granules are generally gentler than salt, which can cause microscopic tears in the skin. Another benefit is based on the natural humectant properties of sucrose, which help to hydrate the skin. In contrast, salt scrubs can actually strip skin of natural oils. As mentioned above, sucrose functions as a humectant moisturizer. A humectant is a hygroscopic substance that often has a molecular structure with several hydrophilic groups. This structure allows humectants to attract and retain the moisture in the air nearby via absorption, drawing the water vapor into or beneath the surface. This function of sucrose makes it a very useful ingredient for those with dehydrated skin. Sucrose fatty acid esters are typically added to cosmetic formulations as emulsifiers. The polar sucrose moiety serves as a hydrophilic end of the molecule, while the long fatty acid chain serves as a lipophilic end of the molecule. These properties make sucrose fatty acid esters excellent emulsifiers. An emulsifier is needed for products that contain both water and oil components in order to maintain a stable emulsion. Additionally, sucrose fatty acid esters function as surfactants, which work to degrease and emulsify oils and fats and suspend soil, allowing them to be washed away. Other sucrose esters have a function in skin conditioning and work as emollients. 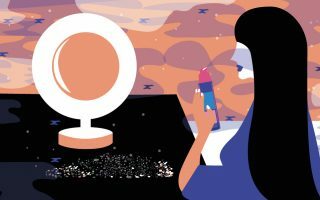 Cosmetics products that might have sucrose esters as an ingredient includes eyelash products, hair treatments, oil gels, skin products and deodorants. Finally, sucrose oleate and sucrose laureate may function as penetration enhancers. The Food and Drug Administration (FDA) includes sucrose on its list of substances affirmed as Generally Recognized as Safe (GRAS) for direct addition to food. According to EWG, both sucrose and sucrose fatty acid esters are rated as a 1 on a scale of 1 to 10, with 1 being the lowest health risk and 10 being the highest. The safety of sucrose fatty acid esters is evaluated based on the safety of the fatty acids used to make them, including stearic acid, lauric acid, myristic acid, and coconut acid. 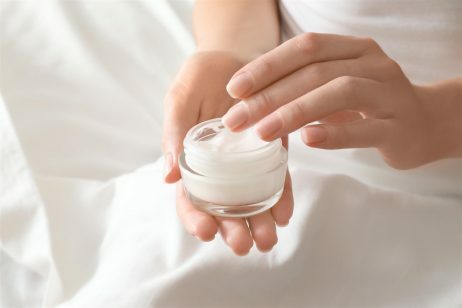 The Cosmetic Ingredient Review (CIR) Expert Panel evaluated the scientific data and concluded that the fatty acids were safe for use in cosmetics and personal care products. References: Wikipedia, “Sucrose”, Cosmetics Info, Sucrose Fatty Acid Esters, Huffington Post, “3 Ways Sugar Is Good For Your Skin”, 2012, Pharm Res. 2003 Aug;20(8):1267-73, EWG’s Skin Deep Cosmetic Database.